Think of the stores and lunch spots you frequent. Odds are, a few of them, if not more, have a corresponding app. And if you’ve ever used their app, you know it makes for a much more seamless in-store experience from start to finish. For starters, there’s no fiddling with cash or payment. You simply place your phone up to the scanner and voila! You’ve purchased your Venti Soy Latte. Even better, all of your relevant customer profile and rewards rest conveniently in one place. Retail apps make it easy for people to repeatedly convert, turning the occasional customer into a brand loyal powerhouse and it’s paying off for them in a big way. Need proof? Howard Schultz credits Starbucks’ investment in mobile as a key reason for their all-time high revenue. Starbucks’ app has grown 23% over the past year alone, eclipsing 11 million users. While mobile orders and payments are a fairly new retail app feature, they’ve more than proven their value already. 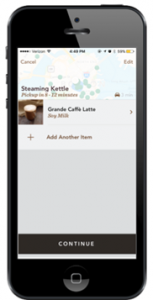 By launching order ahead within their app that already accepts mobile payment, Starbucks delivered the one-two-punch necessary to accelerate performance. As of Q1 2016 close, a whopping 21% of Q1 2016’s orders and $6 million in revenue were attributed to mobile order and pay. Why the success? Starbucks has eliminated the friction from your morning coffee routine. Being able to order and pay for your coffee ahead of time using the app means avoiding long lines and transactional woes, equating to more frequent visits out of sheer convenience. Speaking of convenience, marketers everywhere will tell you that the modern day consumer values it over most other factors. 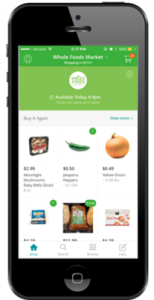 The most seamless way to deliver convenience to consumers? Via an app. Hence why startups like Uber and Instacart have found unprecedented success, and now retail brands are following suit. While Starbucks got a jump on mobile order and payment, other big names from Walmart to Target have plans to capitalize on this trend and ensure they don’t get left behind. Retail apps ensure users have relevant information in real time, from offers to sales, rewards card numbers and even payment information. Basically, retail apps grant consumers the ability to control their entire shopping experience via their phone. Retail giant Walmart’s investment in mobile comes at a time where brick and mortar stores are struggling to stay relevant in an ever dominating ecommerce world. Their app allows customers to access deals, create shopping lists, refill prescriptions, and more. Walmart’s hope is that by enhancing their in-store experience with the help of their mobile app, consumers will opt to shop with them rather than with online competitors such as Amazon. Proving just how committed they are to the digital transformation, Walmart has even geofenced their stores so that customers can check-in via their app upon arrival to see relevant store information and sales as well as have online orders ready for pickup. In addition, their “Savings Catcher” app feature allows users to scan the product barcode to ensure lowest price guarantees. 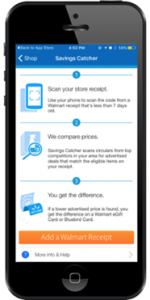 And with the launch of Walmart Pay on iOs a few weeks back to streamline the checkout process, it’s clear that Walmart is doubling down it’s investments in mobile as a way to win over consumers in the digital age. Another reason retailers should invest in apps? They grant you the ability to reward users and drive repeat conversion through tangible rewards. Consumers are much more inclined to download and use your app if they know they’ll be rewarded, and apps give marketers the power to create a personalized rewards program based on the individual user. For example, Starbucks loads a free coffee coupon for users on their birthday. Building a rewards program into your retail app based on frequency of purchases is a great way to incentivize consumers to continually convert. 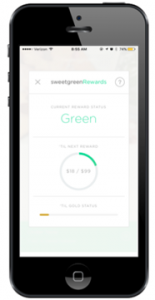 Popular salad chain SweetGreen has a rewards section to their app where they showcase your progress and how close you are to your next reward. This tactic is more powerful than a printed coupon or a loyalty card because consumers are able to visualize and understand just how close they are to their next reward. Having all of a shopper’s pertinent information and rewards in one digital place is not only beneficial for the shopper, but the retailer itself. 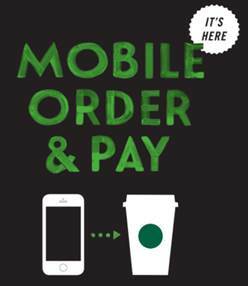 Howard Schultz told analysts that Mobile order and pay has significantly increased line efficiency, minimizing wait and those deterred by long lines. 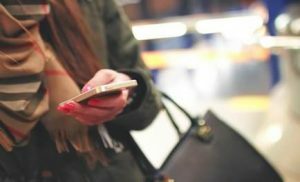 Granting shoppers the ability to order via the app also means less resources are needed in-store. Finally, mobile apps allow for digital receipts, significantly cutting down retail paper cost and waste. If Black Friday 2015 was any indication, mobile is becoming the modern day consumer’s ideal medium for shopping. However, there is a way for brick-and-mortar and the digital world to coexist. A mobile app that enhances the in-store experience is a perfect way to bridge the gap between eCommerce and traditional retail, promoting a highly personalized and efficient store interaction. Brands like Starbucks and Walmart understood that their business model wasn’t in tune this shift in consumer behavior towards mobile and needed to act fact. 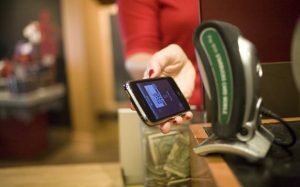 Their sense of urgency is validated by a study confirming that 1 in 5 smartphone users will use mobile pay this year. And with that number trending upward, It’s now clearer than ever that if retailers want to remain a priority to consumers tomorrow, they need to make mobile a priority today.